Pharmakeyboard_arrow_rightIMA LIFE and IMAUTOMATICHE DO BRASIL at the PDA Brazil Chapter – Aseptic Techniques Workshop. PDA Brazil Chapter – Aseptic Techniques Workshop • Anápolis (Brazil) • February 11-15, 2019. IMA LIFE and IMAUTOMATICHE DO BRASIL at the PDA Brazil Chapter – Aseptic Techniques Workshop. 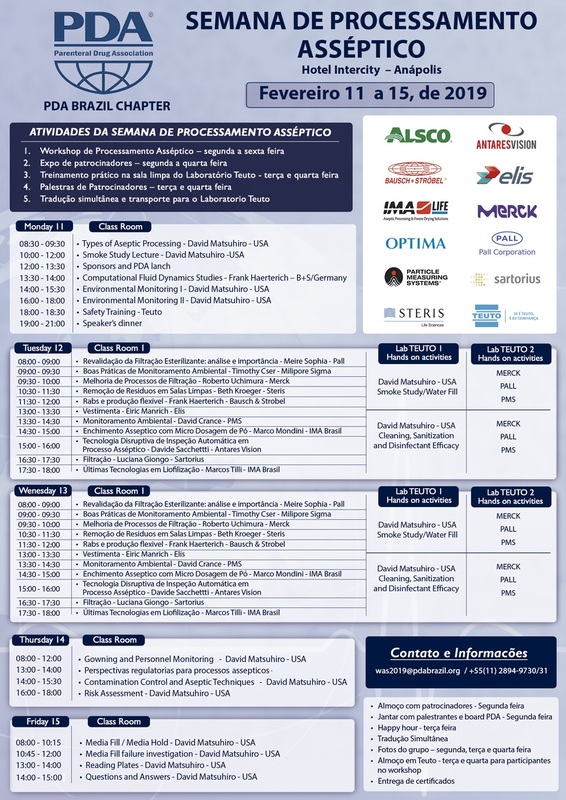 IMA LIFE and IMAUTOMATICHE DO BRASIL are pleased to participate in the PDA Brazil Chapter – Aseptic Techniques Workshop that will take place in Anápolis, February 11-15, 2019. Visit our booth n. S2 to talk to our experts and do not miss our speeches on Tuesday and Wednesday. Development and improvement of the different types of filling systems, IPC (In-Process Controls), performance and features. A wide range of freeze dryers providing support for all lyophilization requirements. Latest developments in technology and process.